Coral reefs support 25% of life in the ocean -- but they need our help. Coral reefs are delicate ecosystems that require specific ocean conditions -- like temperature and chemical composition -- to survive. A healthy coral reef is an incredibly vibrant place! But when corals are stressed, they expel photosynthetic algae called zooxanthellae that they need to survive. This is known as bleaching -- because those algae are what give corals their bright colors. 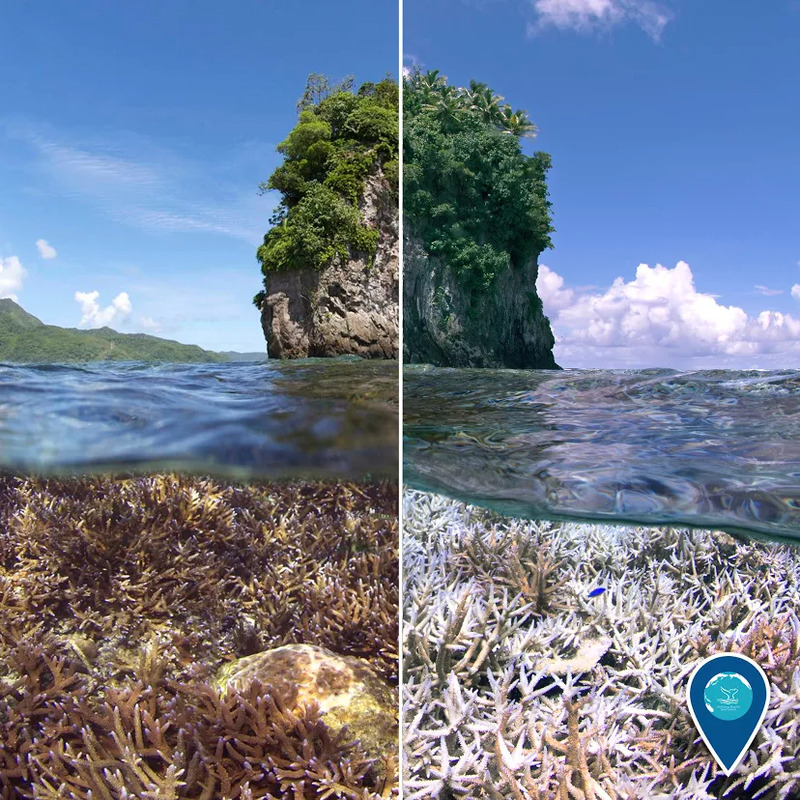 Bleaching can happen when water temperature increases, and because our climate is changing, the water throughout the ocean is getting too warm for many coral species. This bright blue coral may be beautiful, but it’s actually in serious trouble! Without its zooxanthellae, it can’t get the nutrients it needs to live. Each time you drive your car or charge your cellphone, you use energy -- and when we burn energy sources like gasoline and coal, those sources release carbon dioxide. That carbon acts as a heat-trapping blanket, keeping the heat from the sun close to the planet and warming the atmosphere and the ocean. And unfortunately, that warming is causing coral bleaching events to happen more often. 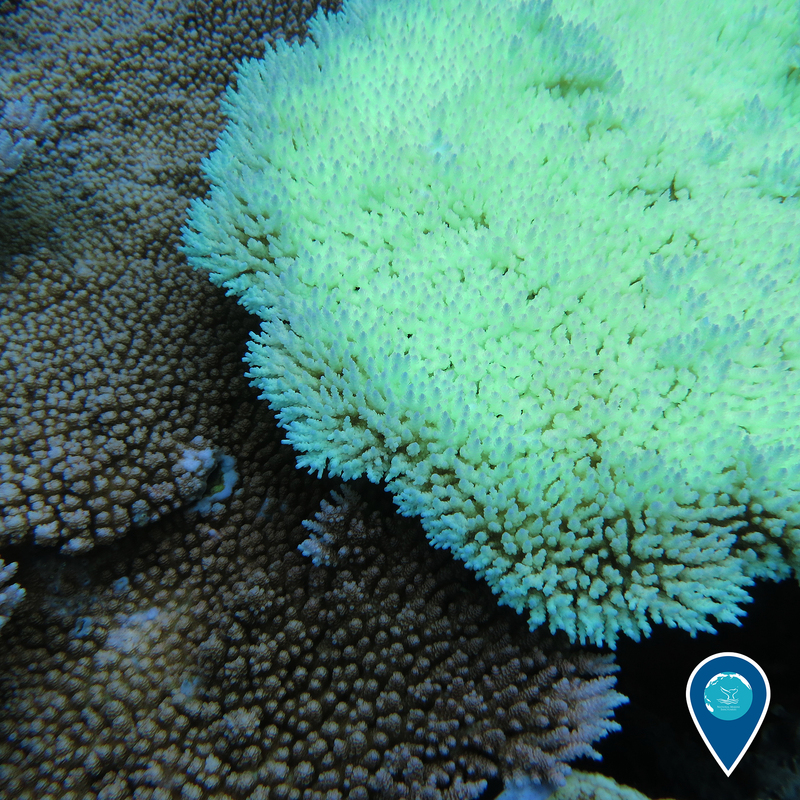 In places like National Marine Sanctuary of American Samoa, we’re seeing bleaching events transform reefs in just a few months. Scientists across the National Marine Sanctuary System are researching the effects of climate change on coral reefs so we can learn how to protect these crucial ecosystems. You can help, too, by reducing the amount of carbon dioxide you produce. What will you do to help keep our coral reefs healthy and vibrant? Climate Change and Ocean Acidification Coral Reef Conservation Program What is Coral Bleaching?